Hed2Toe Salon & Luxury Consignment Boutique is a luxury salon and upscale consignment boutique located in South Burlington, VT. 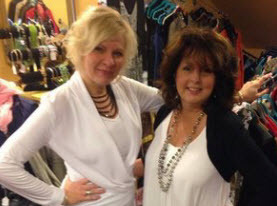 The owner, Anne Roberts, has a passion for style, fashion and quality. 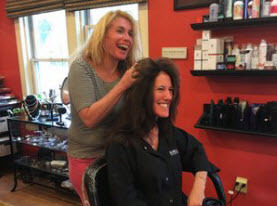 The salon is a welcoming place where you are sure to meet and make new life-long friends. 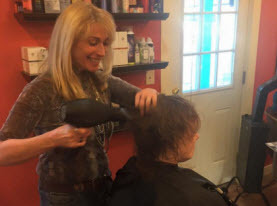 At Hed2Toe Salon & Luxury Consignment Boutique, we have been working to make our valued clients in South Burlington, VT feel beautiful since 1997. With our training and experience, you can expect nothing short of class when you entrust us with your style. Our team of talented stylists have been working in the industry for years and are constantly working to stay ahead of trends through continuing education. Not only will you find that we offer a long list of hair services, but we are also a luxury consignment boutique with a large inventory to ensure you find the perfect pieces for your wardrobe to finish off your look. Our full service salon strives to enhance your natural beauty with our hair services. Our team of master and senior stylist can help you to achieve the look that you are after with our long list of hair cut, color and styling services. We are constantly continuing education to ensure you receive the best hair services in the business each time you choose us. With extensive knowledge in hair color and the way it works, we can help you choose the color that will enhance your natural skin tones and transform your look. We can help you achieve whatever look you are after whether you are getting ready for the biggest day in your life like a wedding or black tie affair as well as subtle changes to your look. Looking for that last unique piece to finish off your wardrobe? The extensive inventory in our luxury consignment boutique is the perfect place to find it. We have a large selection of lightly used clothes and accessories that are not only high quality, but beautiful. None of our items show signs of wear and are in like new condition. This is a great way to find pieces that can’t be found anywhere else. 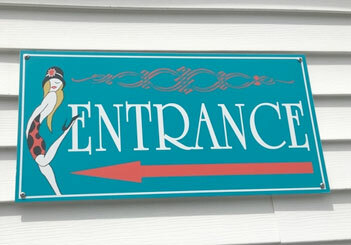 If you are looking for quality as well as beauty, our consignment shop is the place for you. Our owner, Anne Roberts, values style, fashion and quality which is what has made our consignment shop so successful throughout the years. C.A.D Carter’s Aromatherapy Designs offer an effective range of all natural Therapeutic Essential Oil Pain & Body Creams as well as Aromatherapy Soy Candles, made with whole plant cannabis derived CBD. Hed2Toe Salon & Luxury Consignment Boutique is proud to stock C.A.D.’s high quality hemp products on our shelves. Looking to enhance your natural beauty? Heise Permanent Cosmetics offers microblading, powder / combination brows, lash enhancement, eyeliners and lips. You can visit Heise Permanent Cosmetics on the second floor of our building at 1433 Williston Rd. in South Burlington. 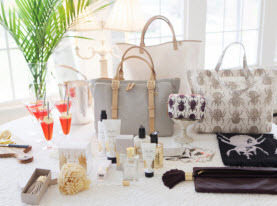 The high end designer, India Hicks, designs well crafted gifts, jewelry and accessories. You can purchase these items at Hed2Toe Salon & Luxury Consignment Boutique and have them shipped right to your door. We are proud to be part of this amazing network of entrepreneurial women who don’t only value creating, but high quality craftsmanship as well. This enhanced way of shopping makes the experience more meaningful for our clients. If you are looking for a place that can transform your entire look, you have come to the right place. At Hed2Toe Salon & Luxury Consignment Boutique, we value each and every one of our clients. When you are choose us, you may come in as a client, but you leave as a friend.